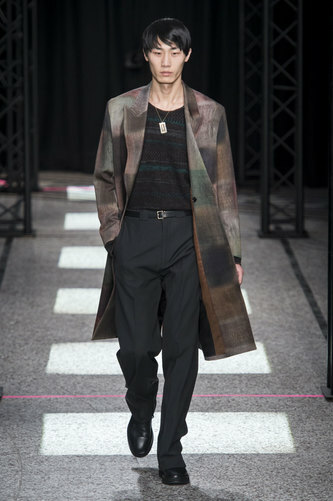 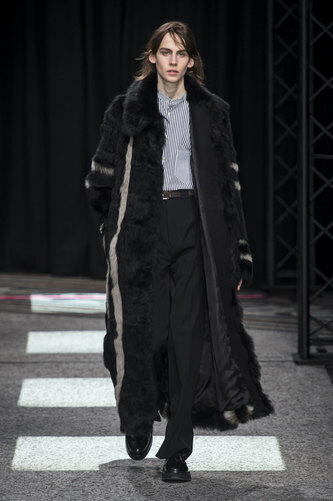 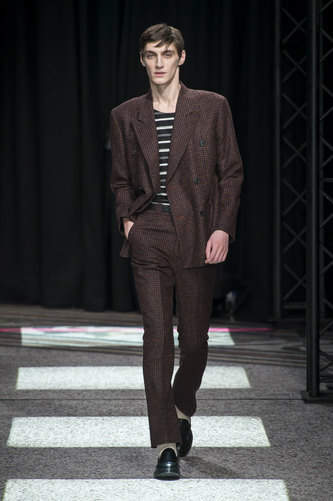 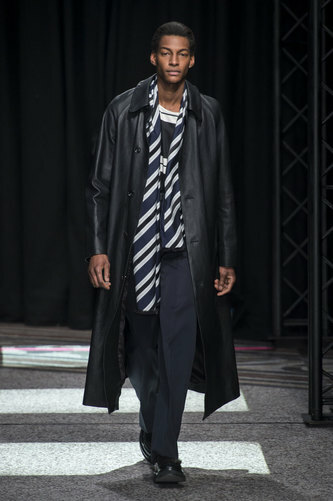 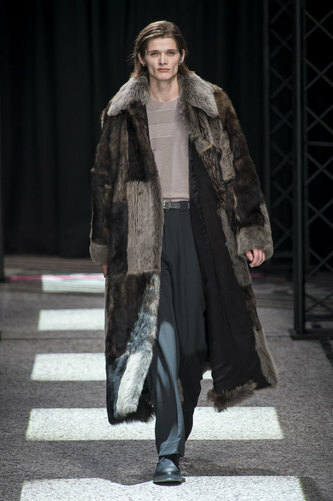 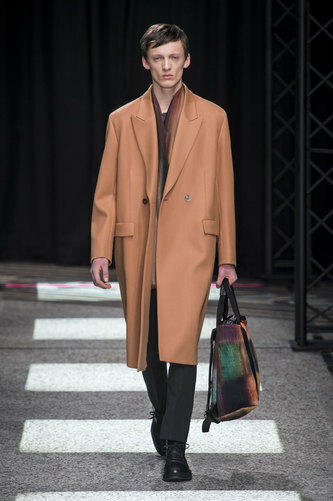 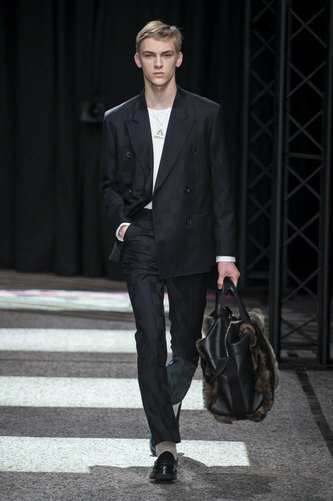 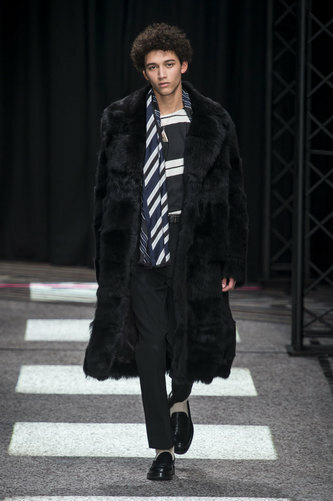 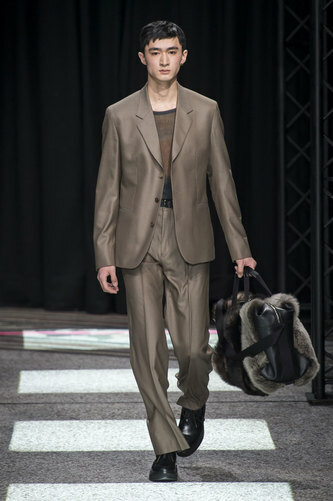 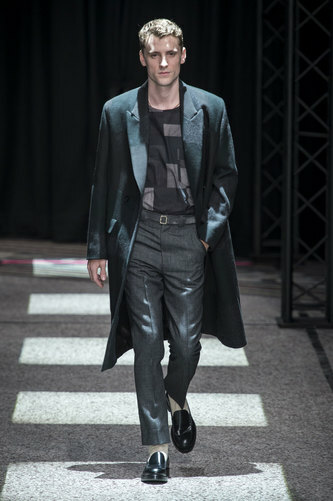 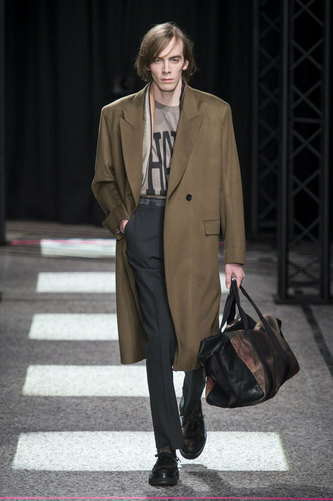 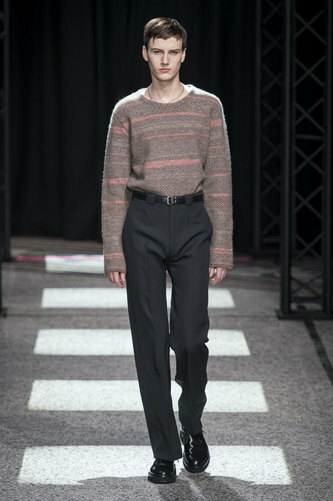 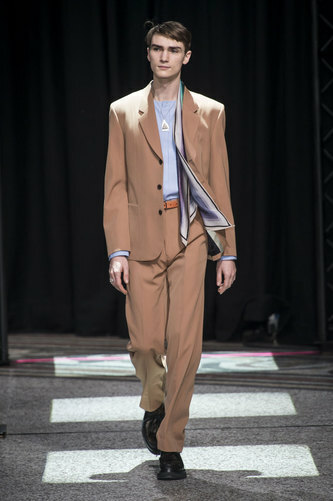 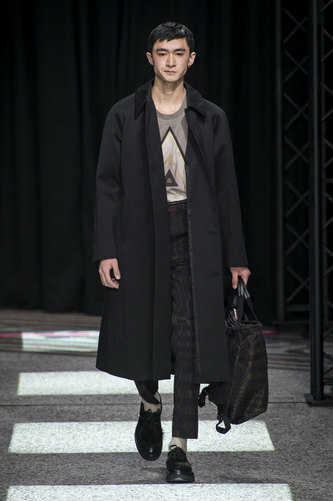 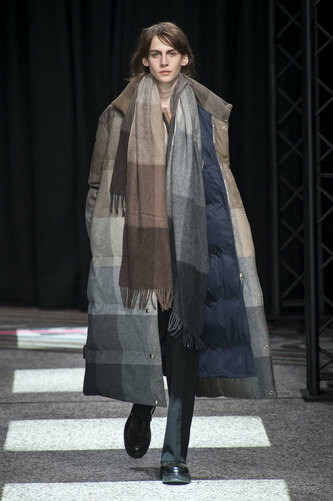 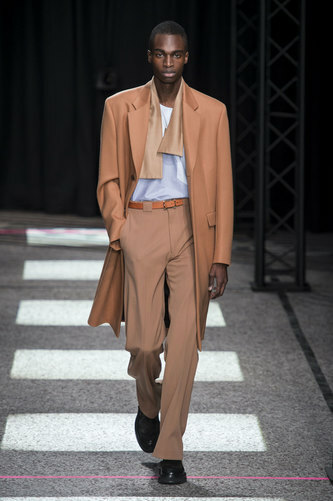 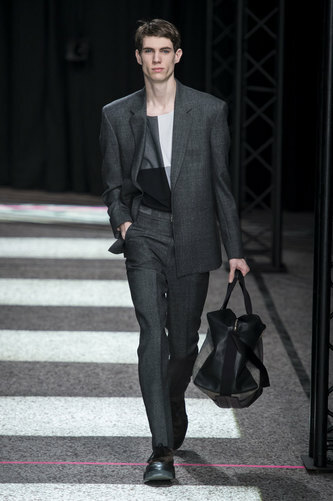 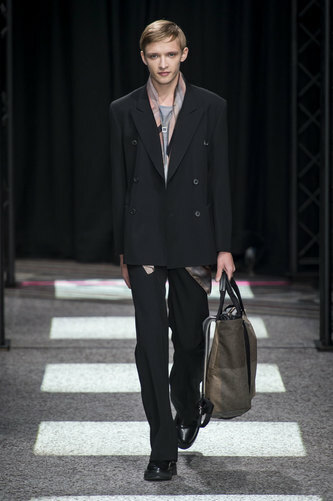 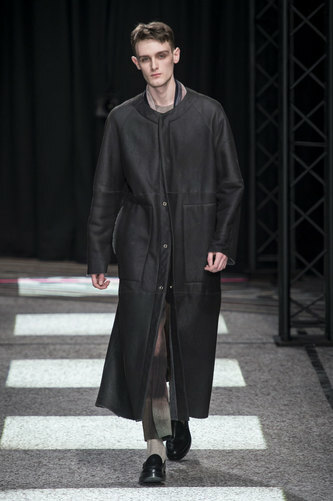 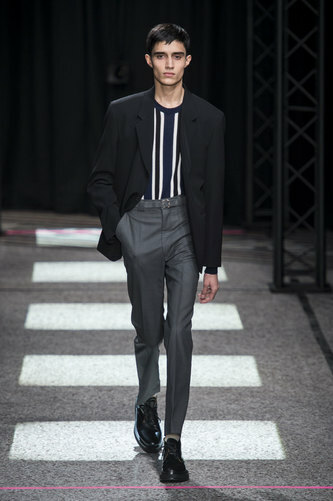 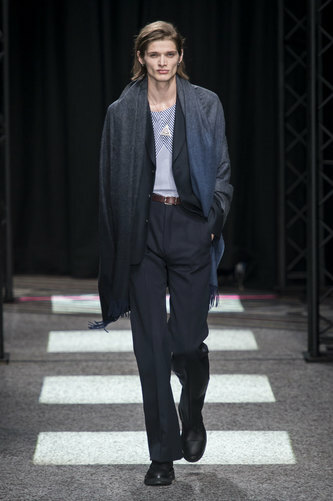 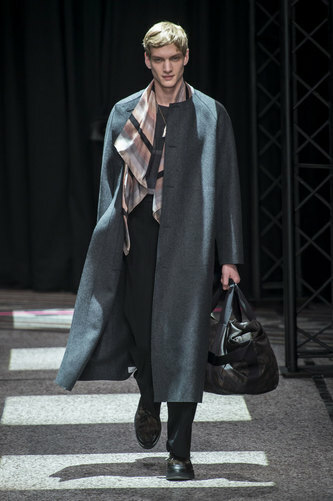 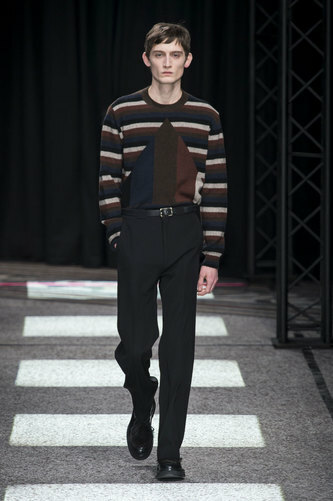 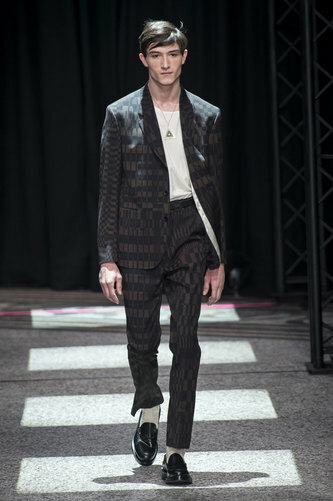 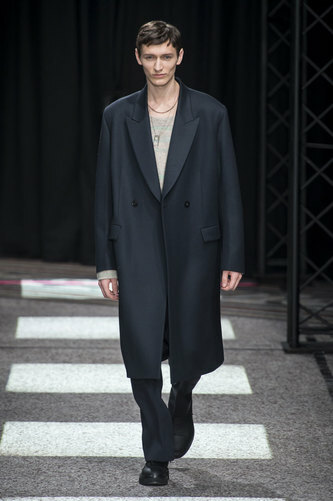 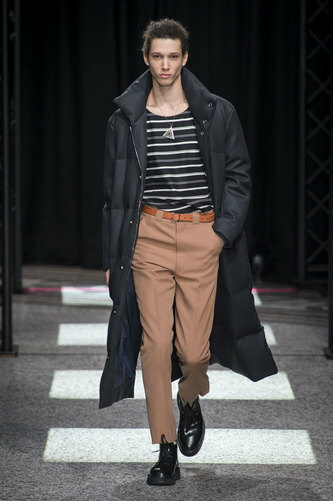 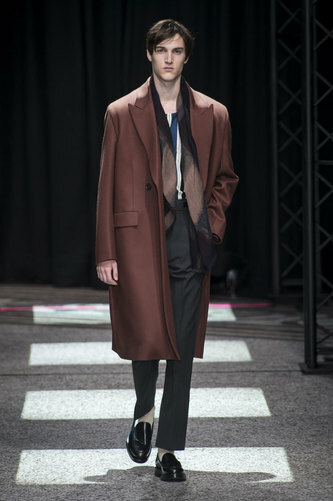 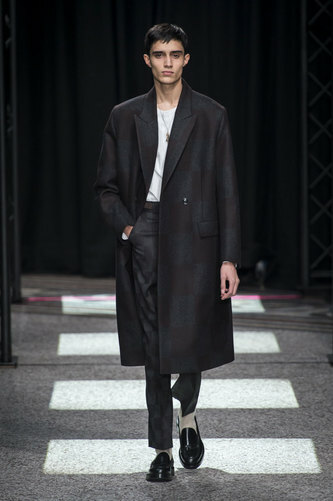 Paul Smith Man Autumn-Winter 2015-16 – Paul Smith blended the ombre effect with neutral tones and patchwork pastels. 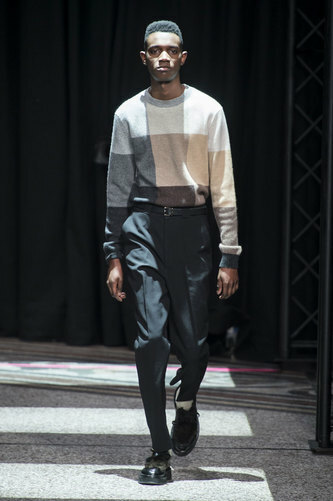 Heading for a 1980s look with the cropped trousers and white socks and leather loafers repeats the fashion of Michael Jackson, back in the day! 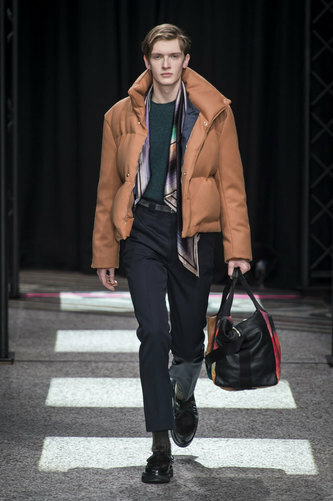 Add an oversized patchwork coat in pastel colours, not only for comfort and practicality but the tones in the patchwork create a metallic look against the black trousers. 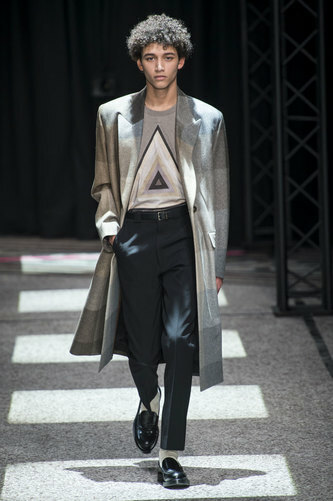 Geometric shapes in monochrome and neutral colours act as a subtle undertone to the rest of the outfit. 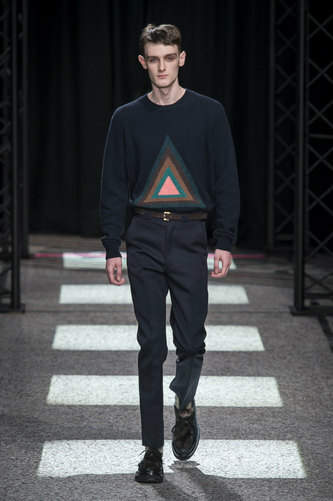 Triangles also feature much in this line, this draws the eye in to the main attraction. 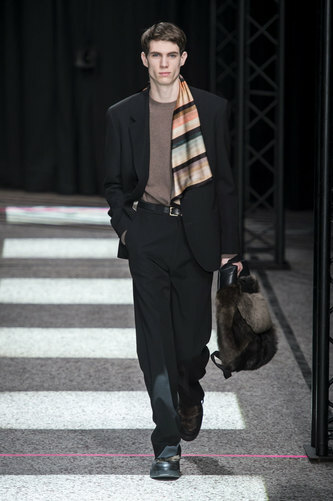 Scarves of many different shapes and patterns can be combined with jackets, sweaters, coats and blazers; it acts not only for comfort but also for an extra accessory. 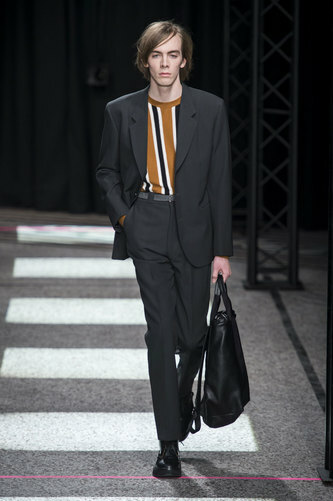 Another accessory comes with the use of a man bag; a large rectangular bag reinforces the looks from the jumpers and shapes on other items but also proves to be fully functional.